I have these running at the stated 3200Mhz. I was a bit torn as to what I should have gotten for RAM, it seems that right now more than 8Gb is good, but currently more than 16 won't really show you any improvement. It is likely a faster speed than I need, and I am still wondering if getting a slower speed 32Gb kit might have been better. That said no issues with it. 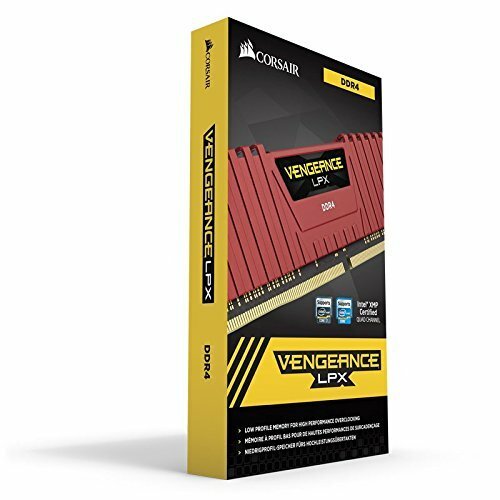 I knock it one star because this is not the best value RAM kit, but I got it at microcenter and I wanted the RAM that day so I could start my build. High speed RAM. Can't really go wrong. No issues. They perform well. Get the job done. Solid, stable RAM. Easy to install, fast, happy. Ram looks cool and matches with my build. I got it for $183 when i first built the PC. Well, it works, at the stated clock speed and latencies, so no faults there. Also doesn't get too hot and it's pretty low profile. When I first made the build I was using these for I had a pretty beefy air cooler on the CPU and these didn't get in the way so that's nice. Just a pity about the price, but I won't deduct points for that because it's a trend common to the market right now. This RAM is the most snappy piece of technology I have ever used! Streaming and multitasking is a complete breeze, and loading times are super low! I'm able to load stuff so quickly compared to my old PC that the new PC is faster than me now, haha!